The publisher - Amberley Publications asked me to write a blog for their website which can be viewed here. 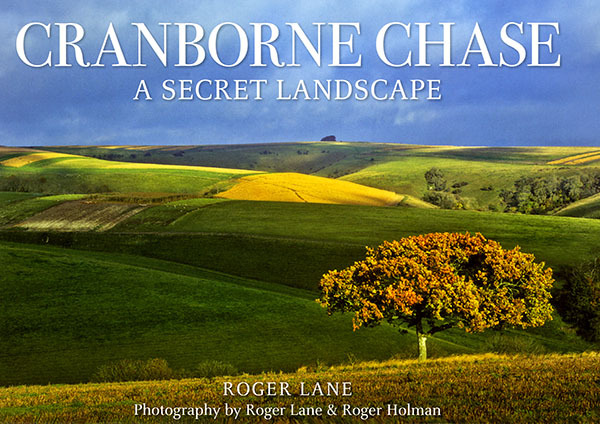 Cranborne Chase – A Secret Landscape is published this month (June 2015) providing me with the end result of many years of deliberation and two years of research, writing and photography. Most pleasing however, is the coincidental launch of the book with two important events embracing Cranborne Chase in relation to its history and landscape. The historical element concerns the signing of the Magna Carta by King John on 15th June 1215 and Cranborne Chase was of course a much favoured hunting ground of his. 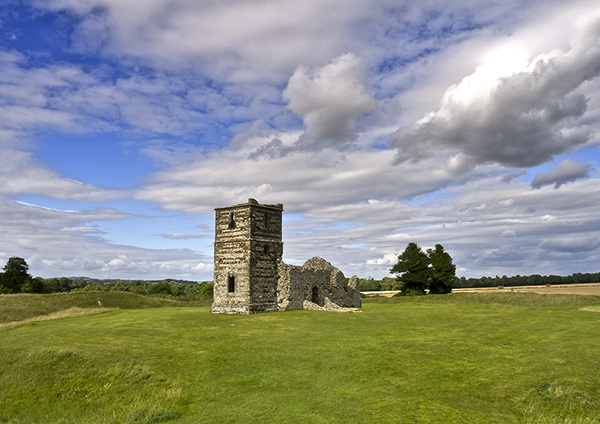 The city of Salisbury residing on the edge of the Chase is home to the best preserved original copy of the Magna Carta and is the only place in the world where an original can be viewed in a true 13th century setting. As important as the Magna Carta is, I have to unashamedly admit to feeling more closely associated with the landscape event, and the launch of my book, sharing the 175th birthday to the month of undoubtedly Dorset’s most acclaimed landscape writer, Thomas Hardy. Hardy used Cranborne Chase in his novels and his poetry most notably in Tess of the D’Urbervilles. Being first and foremost a photographer, over the years I have been given the opportunity by various editors to accompany my images with words. In this respect I can also regard myself as a writer, although not under any stretch of the imagination a ‘Thomas Hardy’. The only commonality between us is the visualisation and description of the Dorset landscape. Thomas Hardy was both a landscape novelist and poet who managed to portray a certain atmosphere of the landscape into his work, providing a backdrop for his character’s lives and frequent tragedies. Had he been a photographer he would no doubt have produced images of the natural world in an equally subtle mood with the use of light reflecting the landscape in his story with much effect. With Cranborne Chase being featured in Tess of the d’Urbervilles, which although set predominantly in the eastern end of Blackmore Vale around the village of Marnhull (Hardy’s Marlot) the story takes the reader into the Chase at Cranborne or the village of Chaseborough in Hardy’s novels. Here, the heroine danced in a barn at Chaseborough near the Flower-de-Luce Inn, seemingly one of the out-buildings of the Fleur de Lys Inn (Now the Inn on the Chase), before returning back across the hills to Trantridge (Pentridge). Cranborne Chase was in fact the scene of the seduction of Tess by Alec d’Urberville. Today the forest areas are crisscrossed with open rides and footpaths with the rolling chalk downlands along the Wiltshire/Dorset border sculptured clear of the tree-line. 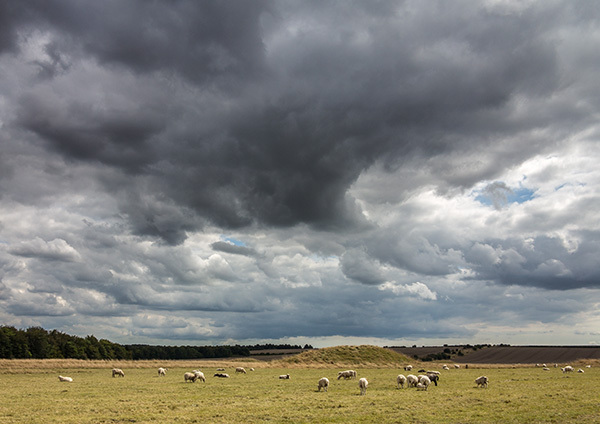 The Chase now offers a far less foreboding environment to walkers who now frequent the region in search of the pathways used by our distant ancestors who travelled across the downs on trackways made by feet and hooves over many years of history. The Ox Drove, one of the oldest, traces an ancient route over the Downs, high above the woodland escarpment of Cranborne Chase. 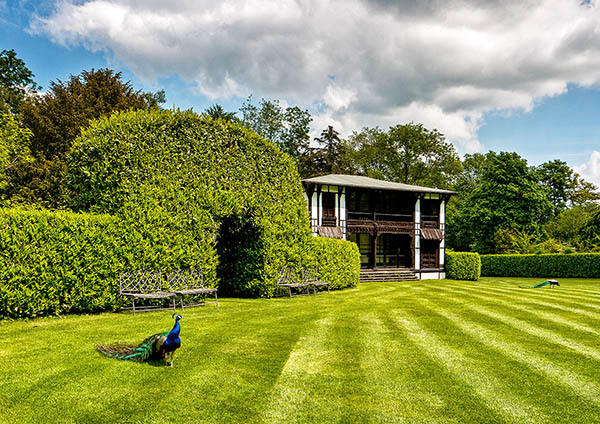 By the beech clump on Win Green, the very roof of Wiltshire, the traveller can take in a magnificent view from the distant blue of the Isle of Wight in the south-east to the Quantock Hills in the north-west. 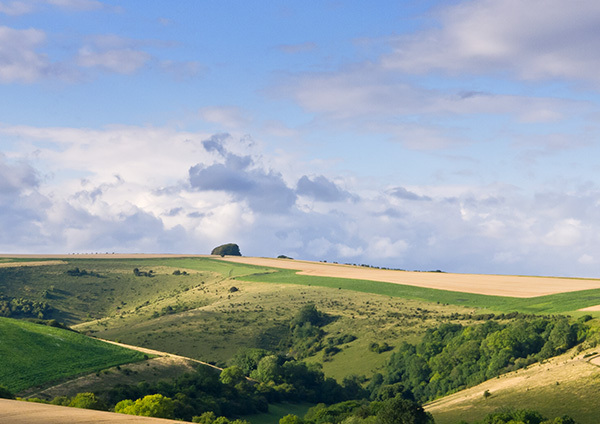 The chase has many faces, upland, downland, woodland and open fields; windswept open pastures and sheltered valleys. 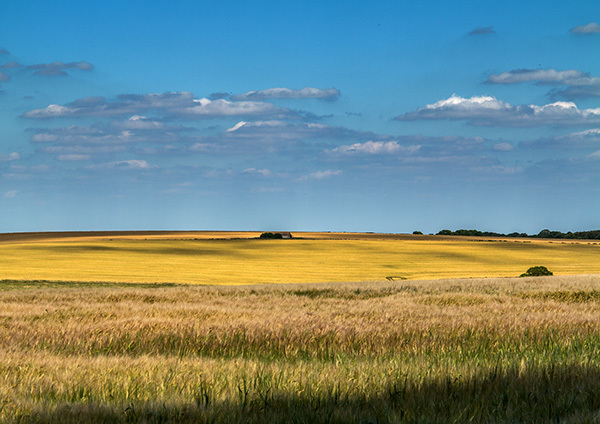 Despite years of transition by nature, here you can still find the nooks, crannies and wide open spaces moulded by history, agriculture and the landscapes that have inspired writers such as Hardy. I have read many of Hardy’s novels and have always been intrigued by his descriptions of the Dorset landscape, agriculture and of the country folk in his stories and settings. This may of course be due in some way to a link with my own childhood. I remember my great grandfather and great grandmother from the village of Durweston near Blandford Forum, where I spent many childhood summers harvesting on the hill, appearing like characters from a Hardy novel. Their names were Silas and Jane and Silas in particular was a strong man with whiskery sideburns but a gentle nature who all horses and sheep seemed to understand and obey. My grandfather also had a wonderful way with working horses and his brother was also a shepherd on the hills above Durweston. The characters I remember from those glorious ‘horse and cart’ summer days were certainly Hardy characters and later when reading his novels their faces would come back to me time and again.